The Berri Barmera Council is a local government body that provides council services to residents in eight towns in the Riverland region: Berri, Barmera, Glossop, Monash, Cobdogla, Loveday, Winkie and Overland Corner. The council has 69 employees dedicated to efficiently and reliably delivering services like waste management, employment services and public health. Subnet has been working with the Berri Barmera Council for 12 months; our Berri located Systems Engineer supports the council with all their ICT needs with the help of our solution consultant, engineers and account managers. Previously, the Berri Barmera council shared ICT resources with the Loxton Waikerie and Renmark Paringa councils as part of an alliance called G3. Aging hardware and infrastructure made it difficult to perform updates and maintain data security. Hosts and storage were not receiving regular patching, with warranties for the server hardware and storage having expired months prior. Consequently, resources were strained and ineffectively allocated. Due to the age of the hosts; CPU, memory and storage resources were underperforming. The virtual servers were starved of resources which affected the performance of the ICT systems; thus, staff were unhappy with their ICT environment. The telephony systems were hosted on an aging physical server resulting in reduced reliability and usability at the Berri Visitors Centre and Community Centre. As the council didn’t have an onsite ICT resource, backups were outdated, untimely and impacted staff productivity. Not having a local ICT service provider meant that routine maintenance did not frequently occur. It often took up to 3 hours for engineers to arrive on-site; additionally, callouts proved costly when travel costs were considered. As a result, the council was looking to cost-effectively manage their ICT services while providing a foundation for their strategic 5-year goals. Subnets’ consulting team completed an initial on-site ICT Health Check to understand how the environment, business plans, existing staff and systems affected the reliability, uptime, security and sustainability of the infrastructure. Our engineers found many efficiencies to be gained through the consolidation and standardisation of the Berri Barmera Council ICT environment. Were the council to leverage these efficiencies, it could expect to see an improvement in performance, reliability, the total cost of ownership and operational expenditure. The Berri Barmera Council requested additional consulting services to assist with the continued business transformation within the G3 councils. A dedicated Service Delivery Manager was assigned for ongoing management and escalation purposes. To ensure staff had improved ICT resources, Subnet recommended that all current virtual server and telephony infrastructures be replaced with a new, fully supported and resilient solution. We worked closely with the councils' internal staff and previous service providers to ensure a seamless transition of support and minimise any impact on the council. We're currently upgrading the ADSL connection to an NBN link to improve internet and network access. The new NBN connection will enhance the coverage and density of the wireless infrastructure. The council has also upgraded the aging server host infrastructure to better support the ICT environment and fully virtualise the Windows server infrastructure. As part of the council’s managed services agreement, our Riverland-based Systems Engineer is on-site two days a week, every week, ongoing and is just a 5-minute drive away from the Berri Barmera Council office; ensuring staff have consistent support. Berri Barmera Council found that Subnet’s managed services reduced their risks and system complexity and continue to deliver exceptional customer service. They discovered our managed services team provide high-quality technical expertise through non-technical speaking, highly specialised staff. As a result, the council stays abreast of industry changes, leverages technological best practices and reviews strategic goals without any additional costs. Through our consulting teams, included as a value-add within our managed services, the council have been exploring strategic areas that will provide the best return on their investments. The council staff have responded positively to having our Systems Engineer on-site. 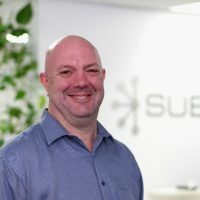 They feel Subnet is more accessible than any other service provider they’ve had and feel fully supported as they don’t have to worry about hardware or software requiring repairs or updates. Some of the day to day tasks our Systems Engineer has completed include installing computer software, repairing iPads and iPhones, installing second screens, systems issues and server updates, daily backups and performance updates. 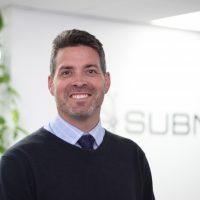 Subnet provides the council with quarterly reporting; our Solutions Consultants, Service Delivery Engineer and Systems Engineer all collaborate on a report which provides an analysis of service levels, patch notifications and trends. We also offer a monthly maintenance checklist which includes backup and replication testing. Subnet has managed to make the Berri Barmera Council’s day to day processes much smoother, allowing the team to be more productive.